I just picked up the cutest book last week! 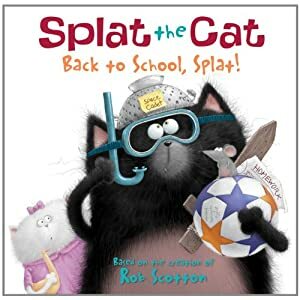 It's called, "Splat the Cat: Back to School Splat" and I think anyone who has little learners will LOVE it! I got it for just $3.99 and I already have it in my back-to- school plans! If you love cute books that students will easily identify with, you'll love this one. Click the pic below to check it out for yourself! You are so sweet! I am fortunate as well to have gained such a kind follower! :) I hope you enjoy future blog posts and resources of mine! I'm so glad to have you here!